According to wikipedia ,the origins of chicken tikka masala are disputed. 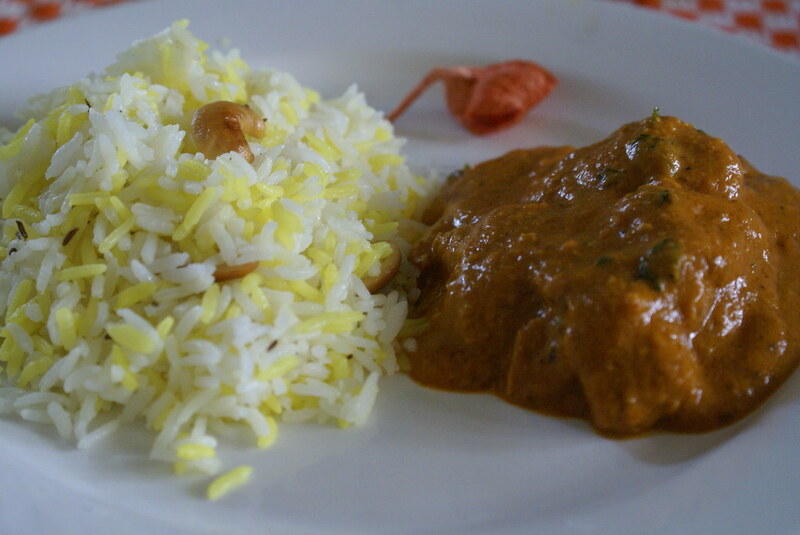 It has been suggested that chicken tikka masala originated from the kitchens of Bangladeshi chefs in the UK. The recipe’s age is also unproven, with claims ranging from the 1970s back to the mid-1950s. A widely reported explanation of the origins of the dish is that it was conceived in an Indian restaurant in Glasgow in the late 1960s, when a customer, who found the traditional chicken tikka too dry, asked for some “gravy”. The chef improvised a sauce from tomato soup, yogurt and spices. Chicken tikka masala is now served in restaurants around the globe. It is perhaps in the UK that its popularity is highest, where it is thought to be the country’s most popular dish. This is the recipe adapted from Madhur Jaffrey, which I picked up on net long back. Marinate the chicken peices, with the ingredients under chiken tikka for 2 hrs. Pre-heat oven to 180C and half cook for 10 to 15 mins and keep aside. Heat oil in a pan and add cloves, cardamom, cinnamon, cumin. Let them splutter and add cashews and onions. Add corriander powder, turmeric, red chili powder and salt. Fry till done, and keep aside to cool. Boil all the ingredients together until the top is glazed. Cool and Blend to a smooth consistency. Heat oil over medium heat in a large pan, and add garlic, saute till golden brown. Add onion paste and fry for few mins, then add tomato sauce and chicken tikka pieces. Cook covered untill chicken is done. Add garam masala, fenugreek leaves, and adjust salt. Garnish with cream and corriander and serve with Jeera Rice. Cook 2 cups of rice with 4 cups of water till done. 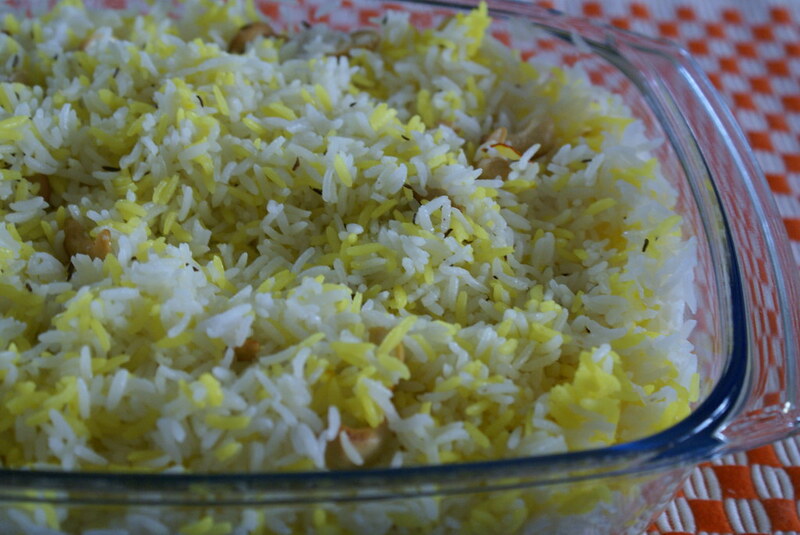 Spread both the cooked rice in a dish. Heat ghee in a pan, and add cumin seeds and cashews. Add this mixture to the rice, add salt to taste and mix. Just a perfect combination and utterly delicious!! wow..cinnamon…this is rocking..my next list of items to try….thanks for sharing…. Heaven indeed! My kids could give you their limbs to eat this!! :D They LOVE it.Tikka Masala is a UK national dish now, isn’t it? STRANGE!!! 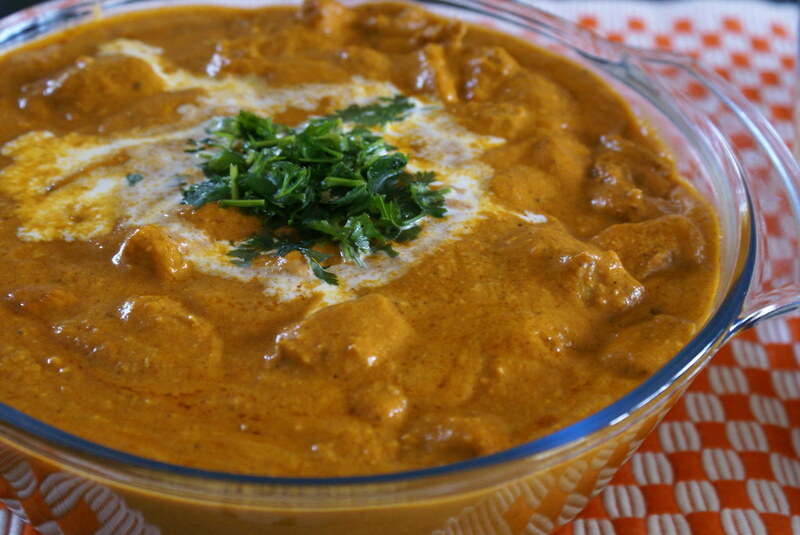 i am going to check my fridge for chicken.so mouthwatering and delicious.well who can resist chicken tikka masala. Though i am a veggie this is really tempting cinnamon. Asha, yeah, even i was quite surprised reading this… I even heard that UK has some best Indian restaurants! Seec, Thanks, I love if dishes are colorful! the jeera rice looks so beautiful. By adding saffron, it looks amazing. I am going to try it out as I never tried adding saffron to rice. Vineela, ya u can even try it out with paneer! a nice idea! Sharmi, Thank You! Do try it, it gives a nice fragnance too! when I was in England I have tried many yummy Indian food. Now I would like to cook all the dish by myself especially Tikka Masala but I don’t know how to start and find all the spices. oh and i am going to but a link in my blog. So i can keep a eye on your delicious recipes. The recipe looks great… I’m gonna cook it this weekend! Just one question: Do you take out the cardemom pods and the cinnamon sticks before you blend the onion masala and the tomato sauce? Looks great. 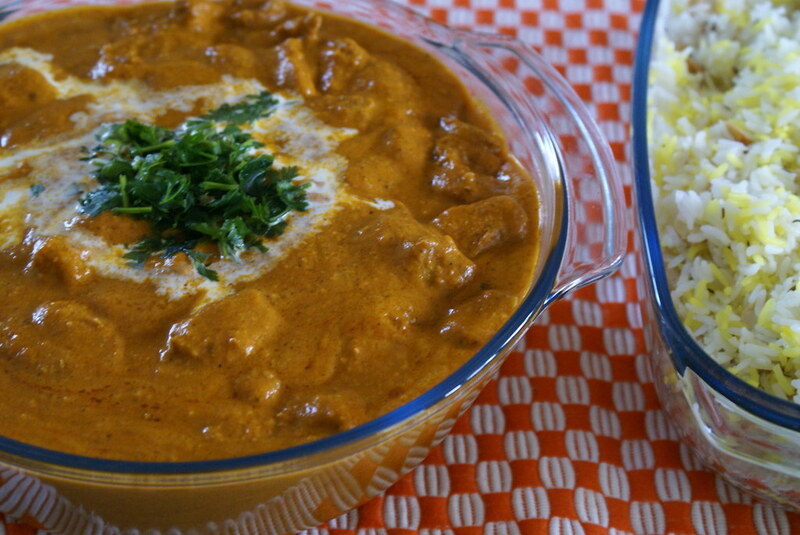 Have you ever tried to use Paprika in chicken tikka masala as shown in http://www.food-india.com/recipe/R051_R75/R071.htm ? i am from canada… 500g of tomato puree.. what exactly is tomato puree (is it thicker or thinner?) and approximately how many cups is 500g?